After combat dice are rolled for Zatanna or a friendly Unique Hero within 10 spaces of Zatanna, if they were not rolled for a special attack, you may roll the 20-sided die. If you roll 13 or higher, change one die rolled to a blank. Once per round, after revealing an Order Marker on the Army Card of a Unique Hero you control and instead of taking a turn with that Hero, you may immediately switch Zatanna and the Hero. After switching, take a turn with either Zatanna or that Hero, and you may not take any additional turns with other figures you control. Figures switched by Trap Door Teleportation never take any leaving engagement attacks. After a figure rolls defense dice against Zatanna's normal attack, if Zatanna has more blanks than the defending figure, the defending figure immediately receives one wound. Last edited by Arkham; December 17th, 2018 at 12:50 PM. After Zatanna or a friendly Unique Hero within 10 spaces of Zatanna rolls combat dice, if they were not rolling for a special attack, you may roll the 20-sided die. If you roll 13 or higher, change one die rolled to a blank. Ytterp erus ew deen a Euqinu noitcirtser no Part Rood Noitatropelet ot diova yknow Nommoc snoitcaretni. Ton yllatot erus tuoba eht esu fo "sah" ni Thgiels fo Dnah, tub ti sehctam pu htiw htiw srewop ekil Revlis s'refruS Ygrene Noitatumsnart, dna I detnaw ot yats tnetsisnoc htiw Egduj s'raeF sgnilur dna diova eht esu fo eht drow "dellor". Detnaw ot peek ti naelc dna raelc taht a knalb dedda htiw Ssertsim fo Cigam llits detnuoc drawot Thgiels fo Dnah. Nepo ot etanretla snoitseggus no taht tnorf. Ho, osla dehctiws eht reggirt rep eht noitseuq OL dah tuoba eht noitcaretni htiw stinu ekil Yedips taht nac edave s'annataZ kcatta dna reven llor esnefed ecid tsniaga reh. Tfel eht rewop seman ni doog 'lo denoihsaf sdrawrof kaeps, ecnis er'yeht erom evitpircsed fo reh naht yeht era slleps s'ehs gnitsac. Retfa Annataz ro a yldneirf Euqinu Oreh nihtiw 10 secaps fo Annataz sllor tabmoc ecid, fi yeht erew ton gnillor rof a laiceps kcatta, uoy yam llor eht 20-dedis eid. Fi uoy llor 13 ro rehgih, egnahc eno eid dellor ot a knalb. Ecno rep dnuor, retfa gnilaever na Redro Rekram no eht Ymra Drac fo a Euqinu Oreh uoy lortnoc dna daetsni fo gnikat a nrut htiw taht Oreh, uoy yam yletaidemmi hctiws Annataz dna eht Oreh. Retfa gnihctiws, ekat a nrut htiw rehtie Annataz ro taht Oreh, dna uoy yam ton ekat yna lanoitidda snrut htiw rehto serugif uoy lortnoc. Serugif dehctiws yb Part Rood Noitatropelet reven ekat yna gnivael tnemegagne skcatta. Retfa a erugif sllor esnefed ecid tsniaga s'annataZ lamron kcatta, fi Annataz sah erom sknalb naht eht gnidnefed erugif, eht gnidnefed erugif yletaidemmi seviecer eno dnuow. Nehw Annataz si dekcatta yb na s'tnenoppo erugif taht seod ton evah eht Lacigam Esnefed laiceps rewop, eht tsom sdnuow Annataz nac ekat rof siht kcatta si eno. Last edited by Arkham; December 15th, 2018 at 12:59 AM. I really dig your version of retirement. So what's your line of thought on the first power? Are you looking to set up Justice League Dark stuff? Or are you still looking at some of the elemental spell stuff you were way back when? Legit at that retirement comment. It comes and goes. This one is going to still need some designing, so I'm not expecting to fast track this, but I like the base of what I had before. 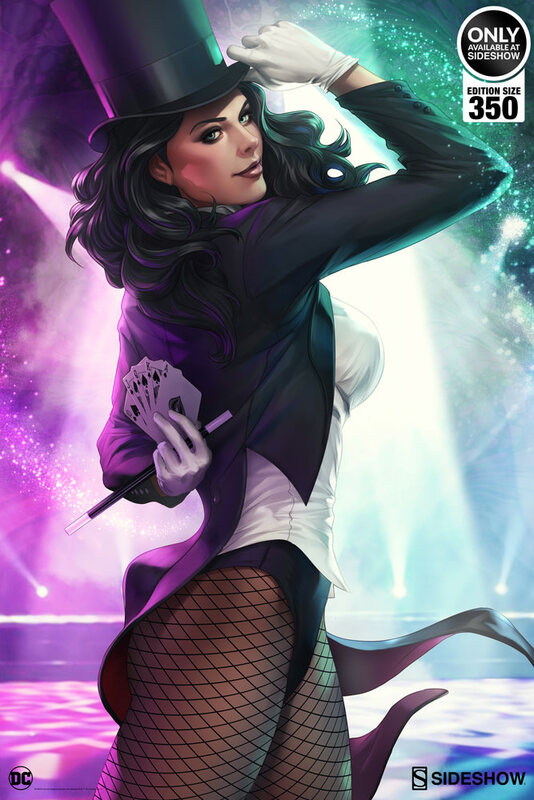 Each time Zatanna casts a common spell, before discarding that common spell, you may roll the 20-sided die, adding 3 to the roll if it is a common Elemental Control spell. On a roll of 9 or higher, do not discard that common spell. As the 3rd power, and accompany her with some elemental spells that I had a lot of excitement about. However, that was pre-spells release, and really...I haven't even adopted spells into my games. It's not that I don't like them or think they were executed poorly, not at all... I think it comes down to the fact that my friends and I hardly play any more, so it's really not worth adding the new feature at this point. With that said, I think I'd prefer to not go with a spell focused design for her 2nd version. I want a Justice League friendly version here, be it standard Justice League or Justice League Dark. I could go either way, or both really. So I'm open to suggestions, but ultimately, that's where I'm at currently with the design. I've held her off long enough due to not wanting to have to do 5+ spells to get her to where I wanted her, I'd prefer a simplified approach, and have the core of the character represented on the card itself. Very pleasant surprise to see this thread get started up. No qualms from me if you want to not focus this design on spells in anyway, Magical Defense is all that is needed to be covered. I'm really digging the trap door concept, an OM management with a surprise movement aspect. Could be difficult to maximize initially but really fun and powerful once it is mastered. The most obvious first combo will he to fly her up to HG, then let someone like Cable take her next turn from that perch. If you can engage with her and swap in Blob or Dr. Octopus for a surprise lock down that could prove valuable too. I'm sure more ideas will be generated in time. As for the Dark Justice League stuff, maybe something that would make a future Constantine card a good ally for her? I can try to dig up the last Constantine card idea we had brainstormed if you want to take another look at it. It doesn't look like the ally that really wanted to run the design will ever do so, so perhaps I can run that design and release it with her sometime after the 10th Anniversary wave is out. The Trap Door power is absolutely what's kept me interested in the design from the start. I love the theme of it, and mechanically it can make for some interesting combos and strategies. As for the 3rd power, and the card overall, I'm liking a focus on her personality as a zany magician. If we don't go with any sort of JLD synergy, I'd prefer to further play that up. Her first card was showing her power, this one I like being a bit more on the playful side. Personality over strength type of feel. I feel like anybody who has gone up against Zatanna I, you fear her negation and once negated, you're left bummed. As the person playing her, that's really your main objective is to cripple your opponents by removing markers and negating etc. I'd like this one to elicit more of a "woah, that's cool" reaction. ...I'm liking a focus on her personality as a zany magician. If we don't go with any sort of JLD synergy, I'd prefer to further play that up. Her first card was showing her power, this one I like being a bit more on the playful side. Personality over strength type of feel. What about tapping into the zany magician bucket you mentioned earlier. Not necessarily tie yourself into the elemental thing. Is there something else you can think of here? What's some examples of zany that you could envision? Just trying to make sure we are all working off the same definition of zany magician. Yeah, don't feel her second card has to be a JLD focused design. Lots of design space for her and I would enjoy a new take on her that could play with anyone rather then in a focused group of characters. If we want to do something that helps the JL Dark without being too over-the-top, what about something like this? When a friendly figure within X clear sight spaces of Zatanna rolls defense dice or attack dice for a normal attack, you may choose one die that does not show a blank and change the result to a blank. Doesn't seem like much at first, but it feels magic-y to me, and it gives her synergies with figures that have blanks-as-skulls and blanks-as-shields effects. The former includes Frank and Zauriel, and the latter the Kryptonians, so there's some JL Dark and broader JL implications. It could also be nice for Undead Resilience types (which again includes Frank) - there are times when you might actually want to take a shield away from them to bump them from taking 1 wound to 2, so that they'll heal off the damage.